"The birds and the bees, the flowers and the trees," so goes the song; images and symbols that are often used in popular lore to simplify sexual reproduction. Rafflesia is a genus of parasitic flowering plants, the largest single flower in the world; it sorange or rusty brown leathery perigones can reach over 90 centimetres across. The genus contains approximately 28 species all found in southeastern Asia, on the Malay Peninsula, Borneo, Sumatra, Thailand and the Philippines. Rafflesia was named after Sir Thomas Stamford Raffles, the founder of the city-state of Singapore. The huge flowers are said to smell of rotting flesh, which could be used to attract flies for pollination. Reproductive endocrinology in the orient spans topics as contentious as reproductive health, and as pervasive as the problems of gestational diabetes and the polycystic ovary syndrome. 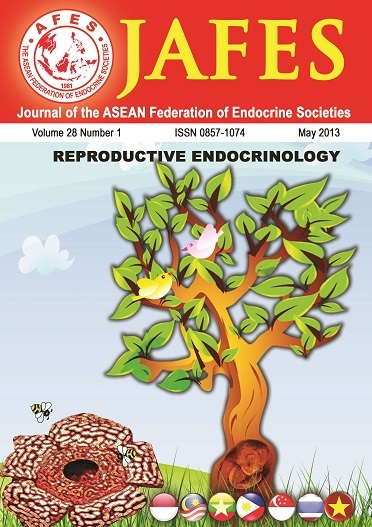 Indeed, there are many topics in reproductive endocirnology which are more prevalent among Orientals such as gestational diabetes which some authors link to the epidemic rise in type 2 diabetes in Asia.